Large Silver and Pink Razor Cups. Available in 5 sizes, 230mm, 240mm, 260mm, 285mm and 310mm high. 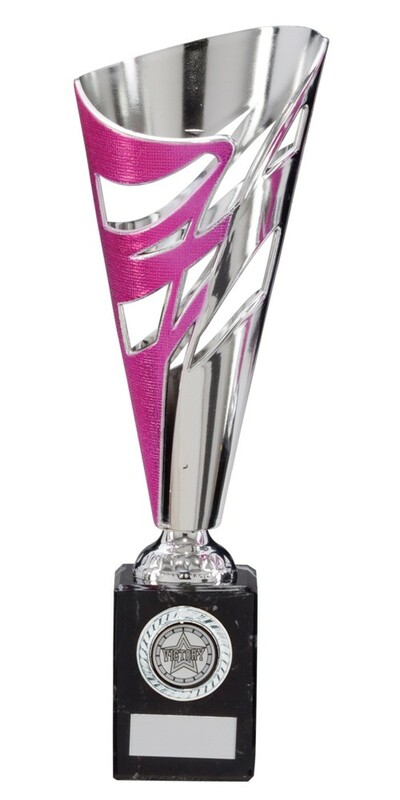 A silver and pink plastic cup with cut outs mounted onto a heavy black marble base. 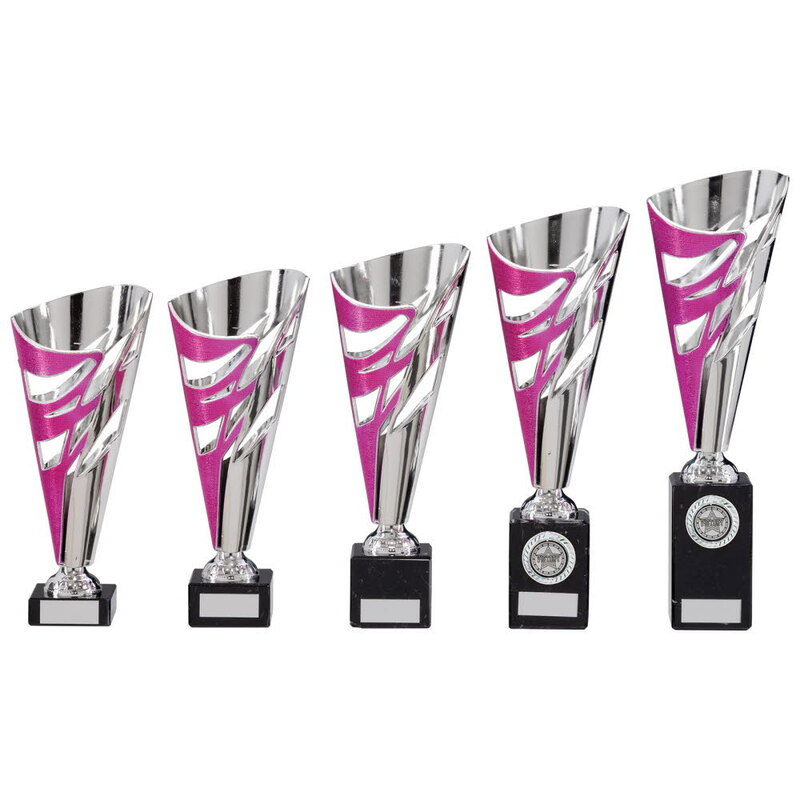 The centre holder is only available on the 2 larger sized awards. A perfect award for all sports and events.